Six years earlier, Trina Grissom disappeared, on the run for her life. Now living under an assumed identity—as Samantha Marsh—she still struggles with the dark secret she harbors and the fear she might one day be found. When she moves to the coastal town of Rarity Cove, South Carolina, to open a café, a handsome widower begins to chip away at the walls she’s built to protect herself. Mark St. Clair lost his wife two years ago in a tragic accident. Head of the grand St. Clair resort, he distracts himself from his lingering grief by running the family business and caring for his troubled young daughter...until a beautiful restaurateur sets up shop in town. Before meeting Samantha, Mark was convinced he could never be drawn to another woman. 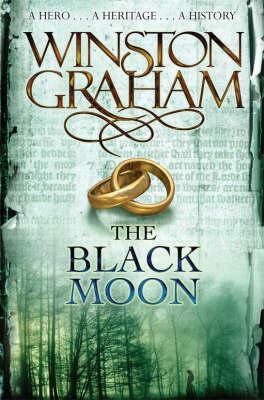 But as his attraction to Samantha grows, the mystery surrounding her deepens. As the two begin a hesitant courtship, double perils emerge. Someone from Samantha’s lurid past comes calling, threatening to expose her. And a powerful hurricane is forming in the Atlantic with the small beach town in its path. Trapped in the storm by the brutal man who wants vengeance on Samantha, she and Mark must fight for their lives. The Sea King Motor Court sat off the two-lane highway heading inland out of Rarity Cove. A good four miles from the beach, the one-story, painted cinderblock structure was outdated and somewhat run-down, with a small swimming pool surrounded by a chain-link fence next to the parking lot. Samantha walked past the unoccupied, darkened pool, clutching her purse that contained Lenny’s payoff. Room six. She stood outside it and reminded herself to breathe. But her courage felt shattered, like so many broken shell fragments washed up along the shore. The porch light beside the door had either burned out or been purposely extinguished. If not for the moon overhead and the iridescent, droning orange of the motel signage, she would be in eerie darkness. Samantha shivered despite the evening’s humidity. Jittery, she knocked again, louder this time. The muffled blare of a television came from another of the guest rooms. But the one in front of her remained silent. Samantha glanced at her wristwatch, checking the time again. Five minutes past eleven. An eighteen-wheeler pulled into the parking lot, its big tires crunching over gravel. It came to a stop at the far side of the motel. A driver wearing cowboy boots, jeans and a baseball cap climbed down from the cab. The man approached and nodded politely at her as he traveled past, then disappeared inside one of the rooms. Samantha knocked again on Lenny’s door, this time with the flat of her hand. Her palm smarted with the effort. But again there was no response. What kind of game was he playing? Weak with pent-up fear and growing frustration, Samantha moved to the window and tried to peer between the slit in the closed curtains. But the room’s interior appeared dark. She sagged onto the white plastic lawn chair next to the air conditioner vent. A thin trail of water leaked from the unit across the grimy concrete stoop, reaching her leather thong sandals. She hadn’t worn the requested stripper heels. She wondered what to do. Keep waiting? For how long? She squinted at a line of plastic flamingos planted in the motel’s patchy Bermuda grass. They called attention to a sign urging passersby to inquire about weekly rent specials. Lenny wasn’t home, apparently. Samantha rubbed her hands over her upper arms, confused. Had he forgotten it was his payday? Add BEFORE THE STORM to your TBR pile on Goodreads! 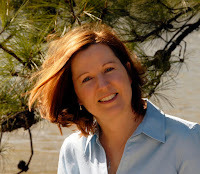 Check out other books from Leslie Tentler! Leslie Tentler is also the author of FALLEN as well as the Chasing Evil Trilogy (MIDNIGHT CALLER, MIDNIGHT FEAR and EDGE OF MIDNIGHT). She was a finalist for Best First Novel at ThrillerFest 2012, and is a two-time finalist for the Daphne du Maurier Award for Excellence in Mystery and Suspense. She is also the recipient of the prestigious Maggie Award of Excellence. Leslie is a member of Romance Writers of America, International Thriller Writers, and Novelists, Inc. A native of East Tennessee, she currently resides in Atlanta. 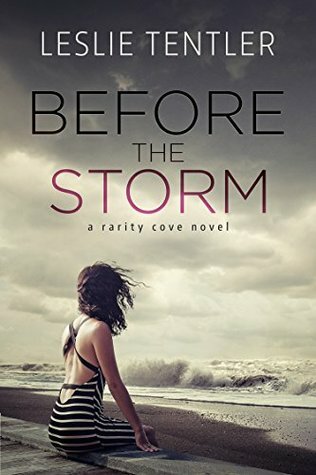 Labels: Before the Storm, Excerpt, Leslie Tentler, Release day! Read this awesome excerpt from Jane Unwrapped!